Why Choose Us? | Hao Law P.C. Home » FAQs » Why Choose Us? HAO in Chinese means “good”, so our first goal in legal services is to become “good” lawyers. However, in this competitive legal market, we realize that simply good is not enough. We must be “better”, if not “best” lawyers. Several characteristics distinguish us from other firms and may be helpful for the client to make a hiring decision. Many times we speak the same language with our clients, either linguistically or scientifically, or both. We speak fluent Chinese and English, which is very helpful when communicating with Chinese-speaking clients or adversaries. We have Ph.D. degrees in biology and biochemistry, so we know the scientific terms by heart, which greatly facilitates the understanding of the client’s needs in law. There is no lost in translation. As the first generation immigrants ourselves, we understand the feeling of the immigrants when dealing with the complicated U.S. legal system. We are committed to helping our clients to go through the process as smooth as possible, and get satisfied results. We also understand the concerns of our clients to the costs, and offer competitive fees and clear fee schedule. As a growing law firm, we hope to grow together with our clients and their careers. Originally trained as scientists, we understand the importance of technology in the information and genome eras. Technology is not only an essential part of our practice, but also an important part of our management. We never hesitate to apply state-of-the art technology into our daily operations. We have the most updated case-management softwares both for general practices and for patent prosecutions. We strongly promote the paper-less office, and communicate with the clients in all different ways. High-tech is truly in our blood. In law practices, timing is probably the most important factor to consider. In patent prosecution, the priority date is often determined by just one day difference; In immigration cases, filing a case one week earlier probably enable our clients to get green card one year earlier; in general practices, missing a deadline may result in the violation of the Statute of Frauds (SOF) and change the outcome of the cases. With our BIXU philosophy, and by using state-of-the-art case management software, we do our best to help our clients to achieve the desired results in time. Timing is an important consideration, but it is not an excuse for compromising the quality of service. We have broad expertise in our practice areas. We take different steps to assure the quality of our service. A case is often involved in a teamwork effort, and quality-control procedures run through the whole process. 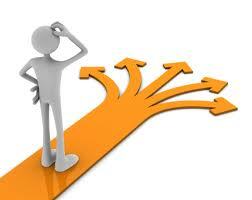 During the process of choosing an attorney, we know the clients have many choices. Our goal is to provide our clients a quality service in timely fashion at competitive rates. Many of our new clients choose us because of referrals from their friends, which demonstrate our reputations in the communities. If there is anything we can do to help you to make the right decision, please let us know.